Brother fax machines offer the same quality and innovative technology you would expect from Brother Printers and other products at a price you can afford. Designed for home, home office or business use, Brother fax machines fit your needs and your budget. 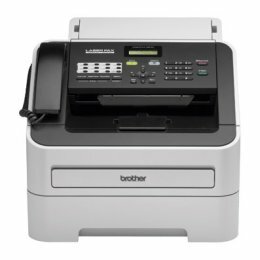 Designed for home offices and small businesses, the Brother 2940 Fax features fast fax transmission and produces crisp, laser output. This feature-rich Brther2940 laser fax offers many valuable fax options such as fax broadcasting, fax forwarding, 200 speed dial / 22 one-touch locations and even memory security for password-protected printing. The Brother Fax-575 is a convenient communications tool for a range of personal and home office applications. The Brother 575 is a dense, stylish, plain-paper fax with an unobtrusive footprint that works well in typical home or home office environments. 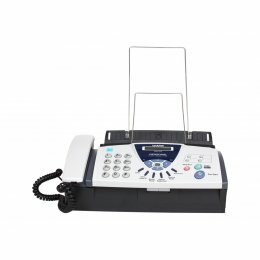 Special attention to compatibility with home telephone usage lets the Fax575 switch seamlessly between fax and telephone modes, allowing customers to receive fax and voice calls on a single line. Over the years, Brother has grown to serve millions of customers. That kind of experience and expertise enables us to provide innovative, feature-rich products you can trust. Brother fax machines boast quality and reliability.